The IR0UGN Gateway now is a full BPQ node on HF. Browse via web the hamradio bulletins with OpenBCM BBS. It is also a Winlink gateway available in Winmor, ARDOP, Pactor, Robust Packet, BPSK250 and much more modes. IR0UGN is also an APRS Gateway on 432.500 MHz with an WX3in1 Plus 2.0 and on 10.14730 MHz with Robust Packet 600Bd modulation. Two MODE-S/ADS-B 1090MHz receivers have been activated. They are contributing to the FlightRadar24 community. 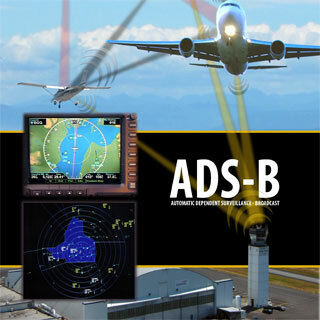 controllers with common air situational awareness for enhanced safety, capacity and efficiency.ADS-B is a system in which electronic equipment onboard an aircraft automatically broadcasts the precise location of the aircraft via a digital data link. 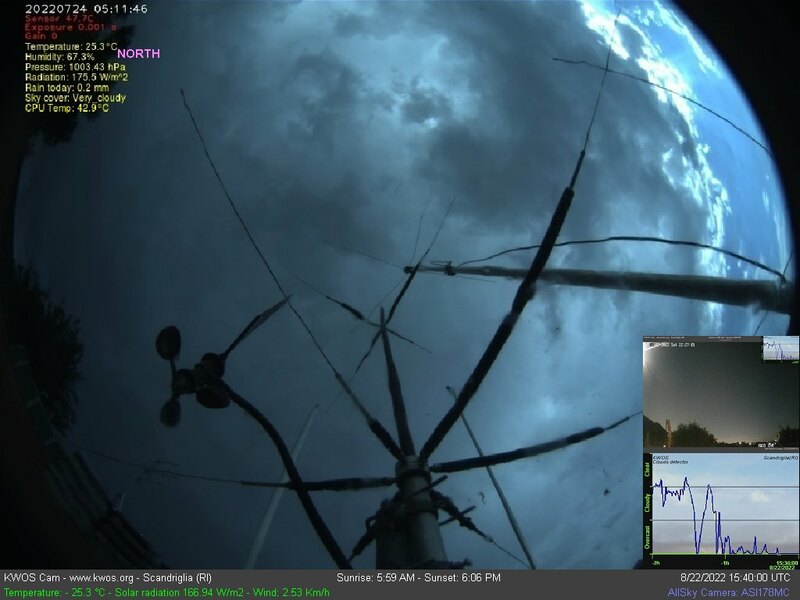 Now the telescope is fully controlled from the house and can be also controlled with a Team Viewer connection everywhere on Internet. It's also possible to check the movements with an infrared camera. 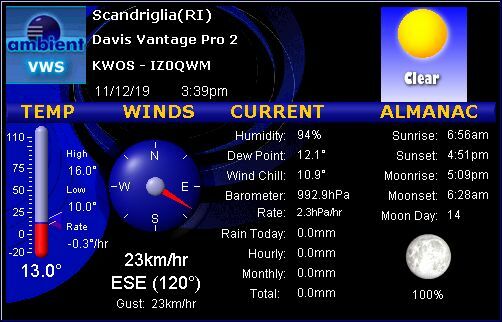 In the weather & sky page you can find the data coming from the Sky Quality Meter. 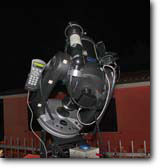 If you're planning to come in Scandriglia to do astronomical observations, please take a look to it before leaving. 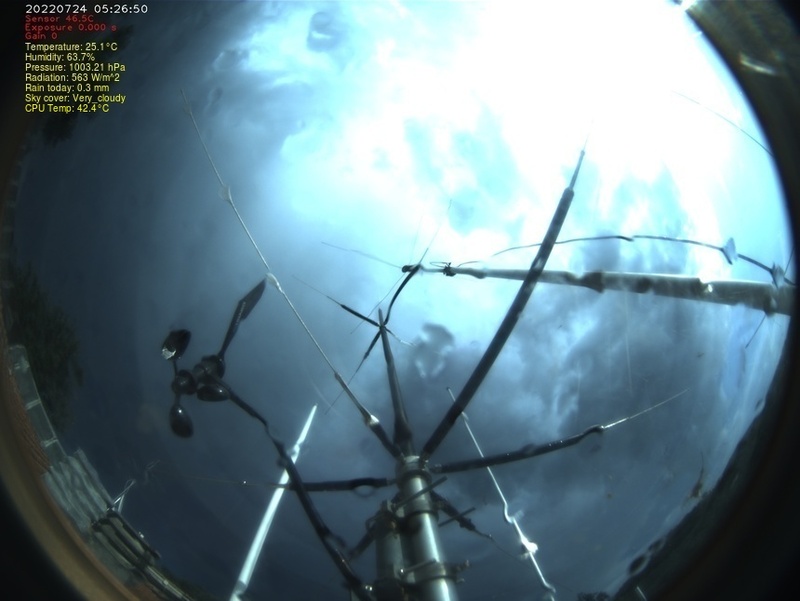 A wide angle camera, very sensible to the light (0x0001 lux), has been installed to catch meteors and lightning. Copyright © 1998 - 2013 KWOS.org - KWOS.it - IW7CHV.org - IZ0QWM.org. All rights reserved. KWOS by Raffaello Di Martino is licensed under a Creative Commons Attribution-NonCommercial-ShareAlike 3.0 Unported License. Ti permetterà di inviare e ricevere email tramite radio. Potrai leggere news, chattare e tanto altro. Questo sito utilizza i Cookies per gestire i servizi offerti come l'invio di e-mails, il guestbook, il contatore di visite e tenere traccia della sessione. Cliccando su OK o su qualsiasi altra parte di questa finestra, accetti che i Cookies vengano salvati sul tuo dispositivo durante la navigazione.